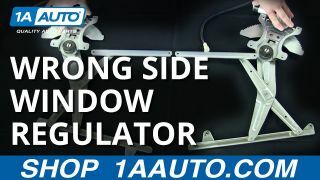 This power window regulator is just what you need to get your vehicle in good working form again! We have noticed that there are many inferior quality window regulators on the market. We have researched other manufacturers and are only selling what we believe to be the highest quality, best fitting, aftermarket regulators available. So don't be fooled by cheaper made imitation regulators. Go with superior quality! Replace your rusting or broken window regulator now with this great fitting alternative. Made from the highest quality materials for extreme durability and premium performance. Roll up the window and secure with painters tape. Unbolt the window from the regulator using your 11 mm socket. Remove the regulator by hammering out the rivets with a punch and chisel. Clear out any remnants of the rivets. 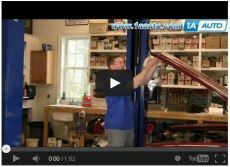 Unplug the wiring harness from the window regulator motor.